Not everyone gets to see the workers of this golden-colored ant, Camponotus festinatus. 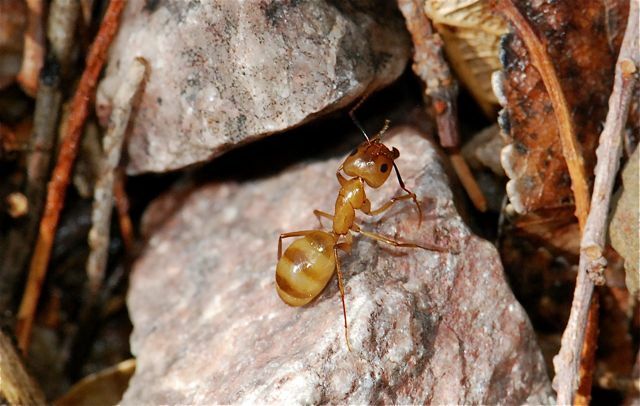 The workers forage at night, often as single individuals. This is a desert species, found in the southwestern United States and northern Mexico. 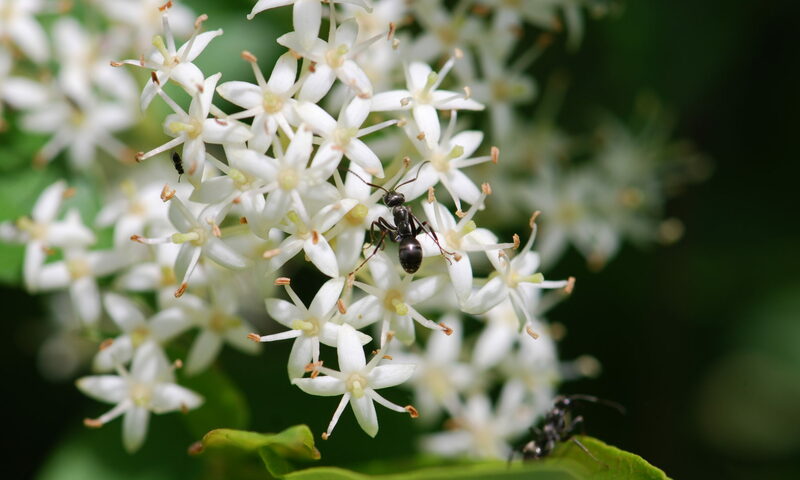 The workers feed on honeydew or eat other insects, as with many ants in the genus Camponotus. 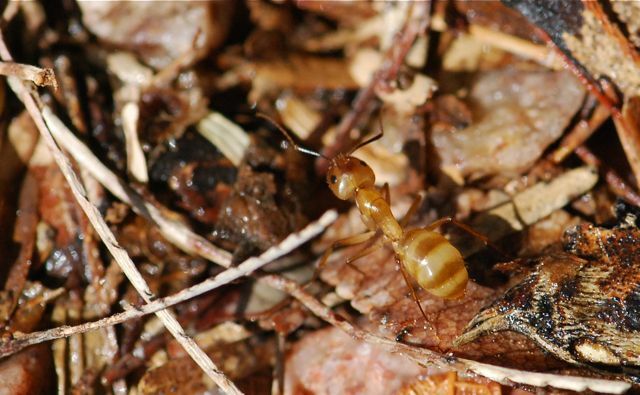 Scientists have found quite a bit of color and morphological variation between Camponotus festinatus workers from different areas, and suggest it might be a complex of species or subspecies. These photos were taken in the low desert, where the workers tend to be lighter in color. I’d love to learn more about them. Have you ever seen one?